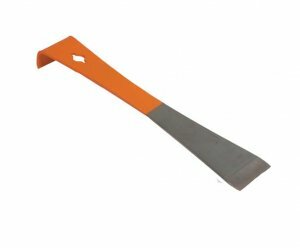 This 10" Hive tool is the perfect all around beekeeping tool. The turned down head gives you an excellent scraping edge complete with a handy nail-pulling slot. The wide flat blade slides easily between those supers and will pry them apart with no problem.